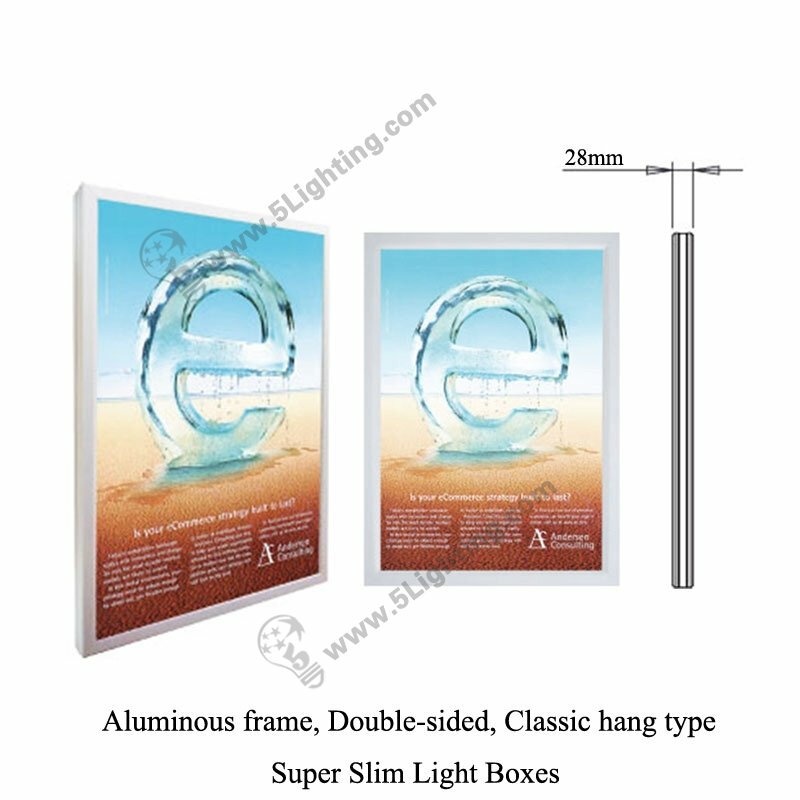 super slim light box classic hang type, double-sided ultra slim LED light box aluminous frame. 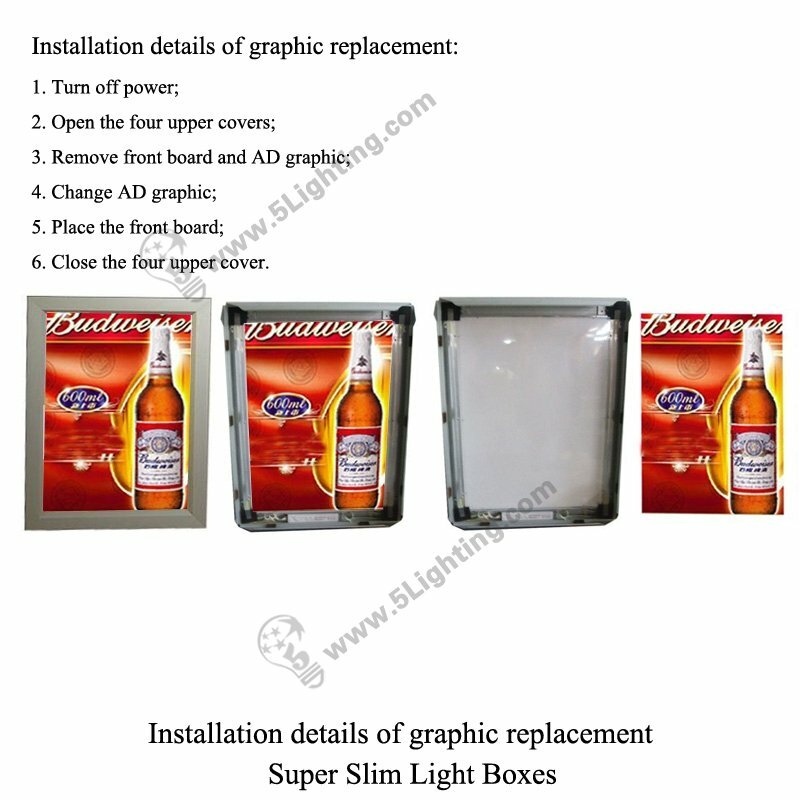 Application: Suitable for kinds of advertising light boxes display. 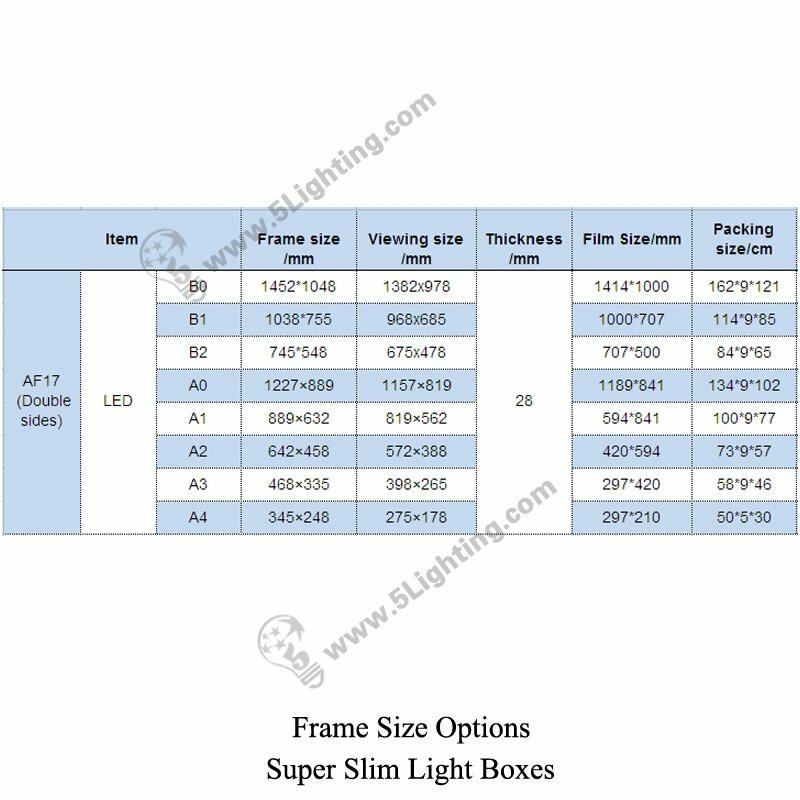 c): Fashionable design ultra slim light box aluminous frame with pretty clear appearance, double-sided visible surface make that widely applicable for various of display field, such as slim advertising light boxes at trade fair, bank, museum and other places ect. g): Frame color of our ultra-thin led light box hang type is oxidated aluminum alloy, and other colors can by customized by painting, electrophoresis, spraying. 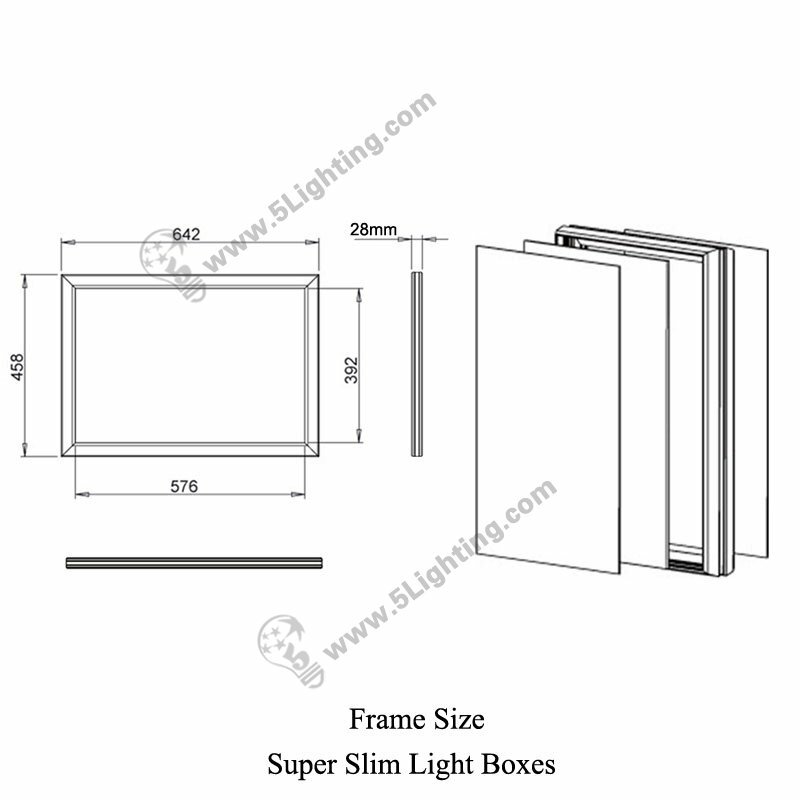 Good quality super slim light box classic hang type from 5 star lighting factory !